~Nois is a saxophone quartet devoted to the performance of new music. Formed by graduate students at Northwestern University in 2016, ~Nois has quickly emerged as one of the premier young ensembles dedicated to contemporary performance. ~Nois was awarded the Silver Medal at the 2017 Fischoff National Chamber Music Competition, and was previously awarded First Prize at the 2016 Chicago Woodwind Ensemble Competition. During the 2016-2017 season, ~Nois performed as a guest artist at Michigan State University, Oklahoma State University, the University of Arkansas, and the University of Missouri - Kansas City. On her most recent recital in Chicago, Claire Chase, founder of the International Contemporary Ensemble, invited ~Nois to collaborate with her in a performance of Thirteen Changes by Pauline Oliveros. ~Nois has seven World Premieres slated for the 2017-2018 season and will be featured on the prestigious Frequency Series at Constellation, Chicago. For more upcoming performances, please visit noissaxophone.com. Brandon Quarles Soprano Saxophone Brandon Quarles is a saxophonist dedicated to the creation and performance of new music. He is cur . 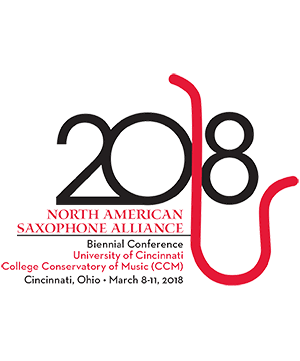 . .
Hunter Bockes Alto Saxophone Christopher Hunter Bockes is currently in his second year of graduate study at Northwestern Univer . . .
Jordan Lulloff Tenor Saxophone Jordan Lulloff is an internationally performing saxophonist pursuing a master’s degree in Saxophone . . .
János Csontos Baritone Saxophone Described as "a musician of the highest order" by Stockton Symphony conductor Peter Jaffe, classic . . .